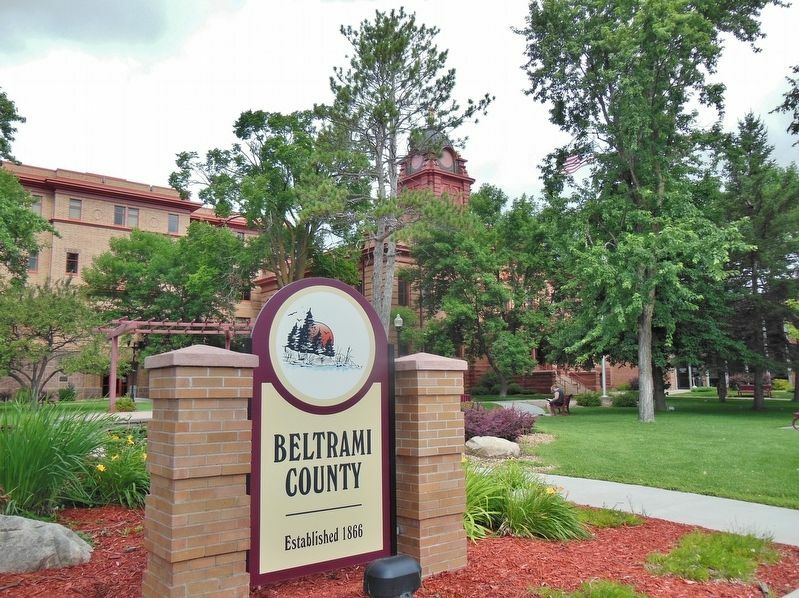 Beltrami County was established by an act of the state legislature on February 28, 1866. The first post office in the county was established in Red Lake in 1875. The first homesteader in the county was Joachim Cyr at Little Turtle Lake in 1877. 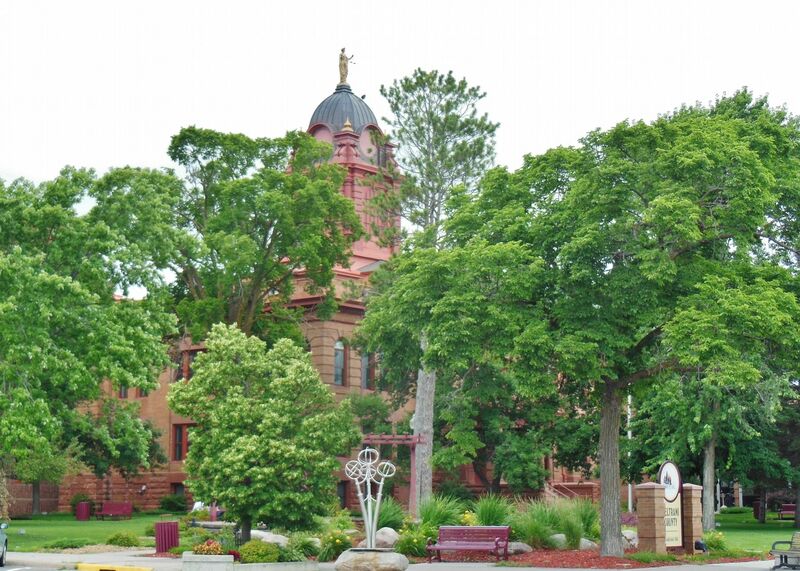 Bemidji became the county seat in 1897 after edging out a strong contender in Buena Vista. The Beaux Arts-inspired, brick-and stone courthouse with a domed tower, was designed by Kinney and Detweiler, and built in 1902. It has been listed on the National Register of Historic Places since May 26, 1988. 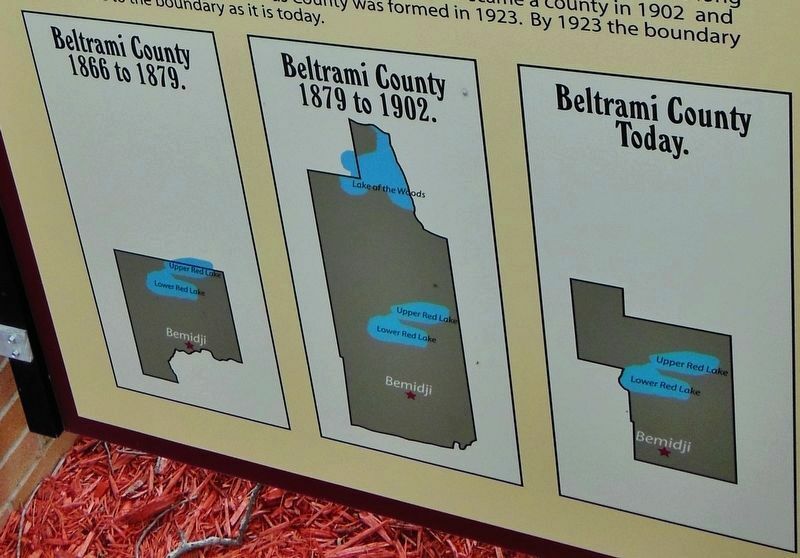 Beltrami County's borders have changed several times. In 1866 the new county extended from a line drawn west from Lake Itasca to a north/south line between Cass Lake and Lake Winnibigoshish. The northern border went through Upper Red Lake. The western border was on a line running through Ebro. the boundary was very close to the boundary as it is today. Location. 47° 28.43′ N, 94° 52.885′ W. Marker is in Bemidji, Minnesota, in Beltrami County. Marker is at the intersection of Beltrami Avenue NW and 6th Street NW, on the right when traveling south on Beltrami Avenue NW. Touch for map. Marker is located in a small plaza, beside the sidewalk, at the northwest corner of the intersection. Marker is on the back side of the Beltrami County Courthouse sign, mounted between two brick stanchions. Marker is at or near this postal address: 619 Beltrami Avenue NW, Bemidji MN 56601, United States of America. Touch for directions. Other nearby markers. At least 1 other marker is within walking distance of this marker. Paul Bunyan and Babe (approx. ¼ mile away). More. 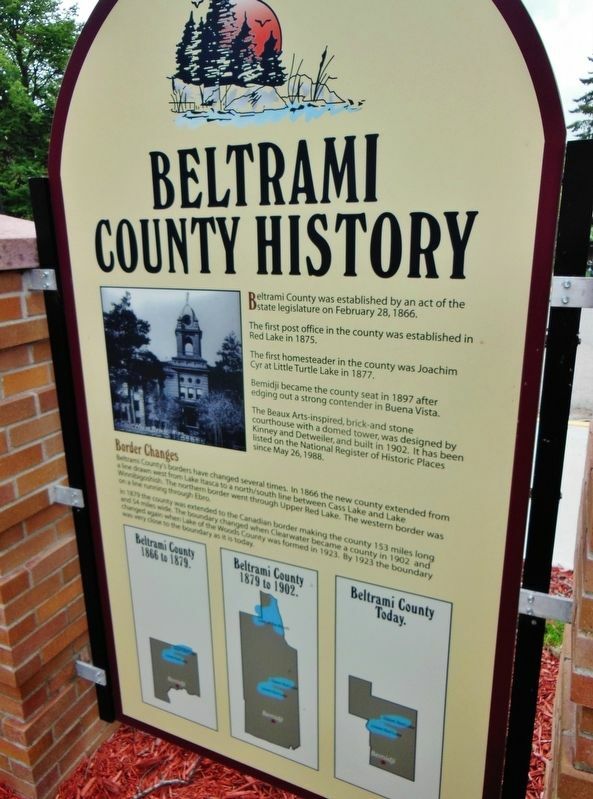 Search the internet for Beltrami County History. Credits. This page was last revised on March 31, 2019. This page originally submitted on March 31, 2019, by Cosmos Mariner of Cape Canaveral, Florida. This page has been viewed 38 times since then. Photos: 1, 2, 3, 4. submitted on March 31, 2019, by Cosmos Mariner of Cape Canaveral, Florida.